Comments: Since 1932 our philosophy is listening to the dancer and translating their ideas into real world products to give them what they want. Location: Available throughout Australia and the world. New store at Bondi Junction: "Capezio by Ballet Emporium." Comments: Largest one stop dance shop for secure online and instore shopping. 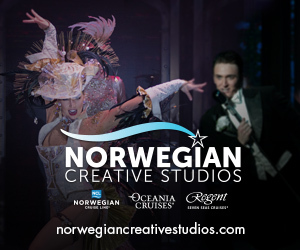 We stock all major brands encompassing all genre of dance. Comments: Our product's are designed by us, right here in Melbourne. 99% of our garments are made entirely here at home in Australia! This is important to us, and has been from the start. We use the very best in Australian manufacturers and Fabric to deliver a perfectly manufactured garment that you can trust in quality and durability. Location: Available throughout Australia,... New Zealand, Hong Kong, Denmark, New Caledonia. Buy online from anywhere in the world! 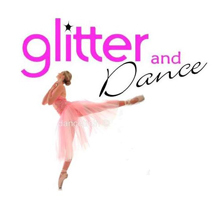 Comments: Glitter and Dance online shop is for all your dance costume needs – unique New York fabric lines, patterns, accessories and also costume design and manufacturing. Products: Floors for dance and performing arts. Comments: Harlequin produces a range of sprung and vinyl floors for all types of performance for stage, studios and schools. From portable, roll-out to permanent, heavy-duty cushioned vinyl. Products: Dance Studio Uniforms and Costumes. Comments: Serving the dance community since 2001. Kinetic Creations specialise in making quality studio uniforms and fantastic dance costumes. We have competitive prices and cater to suit any budget. 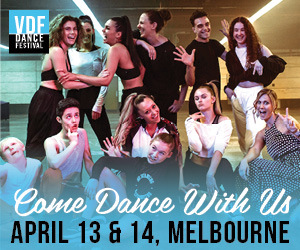 Comments: PW is designed for dancers – we work with a number of professional ballet companies including Melbourne City Ballet, Queensland Ballet and The Royal New Zealand Ballet. These relationships give us a great insight into the dancer’s world, so we understand you need a full range of exceptional apparel that provides optimum flexibility and comfort to support your performance. Comments: Sprungfloor by Show Works is Australia's most affordable, fully tested sprung floor on the market. It is already taking the dance world by storm, becoming renowned for its non invasive, semi portable and easy to assemble design. Make Sprungfloor by Show Works your choice in sprung dance floor. Products: Dance Apparel, Dance Shoes, Accessories, Activewear and Giftware in-store or ON-LINE STORE FOR ALL YOUR DANCE NEEDS! Comments: One stop shop for all of your dance and Calisthenics needs! Huge selection of dance tights, apparel and shoes for all dance styles. Accessories including hair needs, bags, tiaras, wiglets, ribbon, make up and eyelashes. Need it for dance? Find it at Stagezone! Brand: Angelbows and Accessories started with the design and manufacture of baby headbands in 1990. Over the years, it's product line increased to include hair flowers, wedding and special occasion accessories, and school hair bands. Now the company specialises in Dance Costumes and Dancewear. Location: Angelbows is located in Port Stephens, Australia. Appointments to its showroom are most welcome. Brand: Shop all the major Dance Retail Brands, Bloch, Capezio, MDM, Strut Stuff, Studio 7, etc. Products: Beautiful handmade Swarovski Crystal Ballet Tiaras and Crowns for ballet dancers.